We know from experience and client feedback what a difference live music can make to your day. 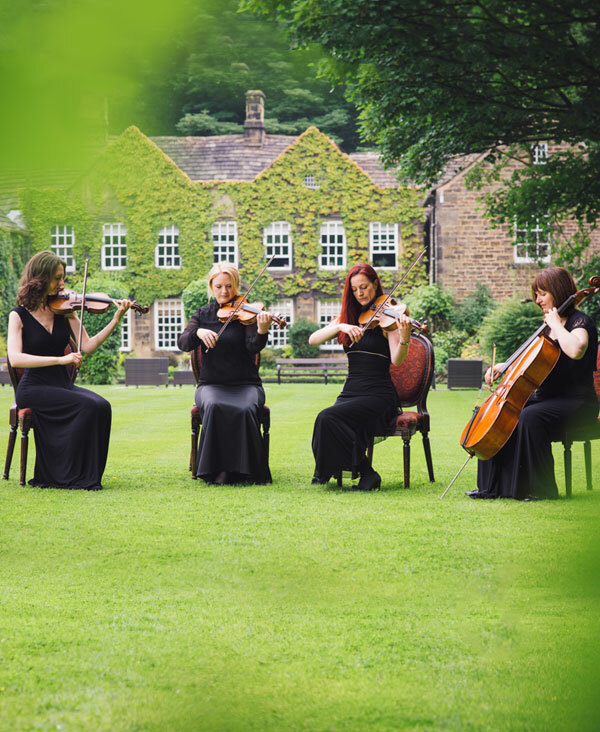 Southdene String Quartet & Duo have been performing at weddings for 20 years, giving our musicians a wealth of experience to provide you with a wonderful and personalised musical experience that you will never forget . 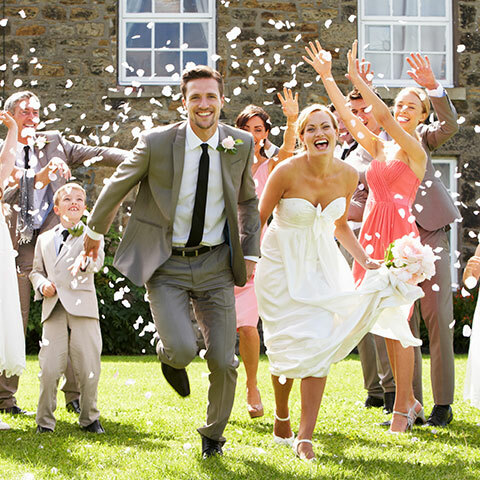 We are available for church ceremonies, civil ceremonies and civil partnerships. 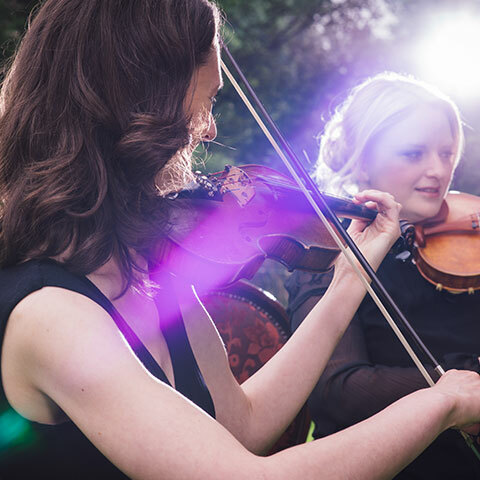 For civil ceremonies and civil partnerships we offer a 60 minute package: 30 minutes of music as guests arrive before the ceremony and 30 minutes of music for the ceremony itself. For a church wedding, we recommend a 90 minute booking, so you get 30 minutes of welcome music before the service and 60 minutes for the service itself. 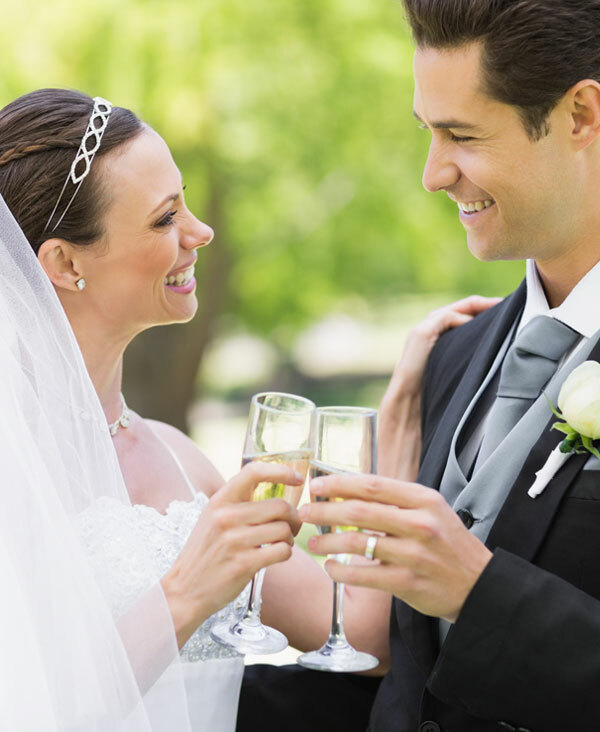 We can then travel to the reception venue and play during drinks & the meal if required. We charge this on an hourly basis from the start time in the church to the finish time at the venue. There is no extra travel fee. 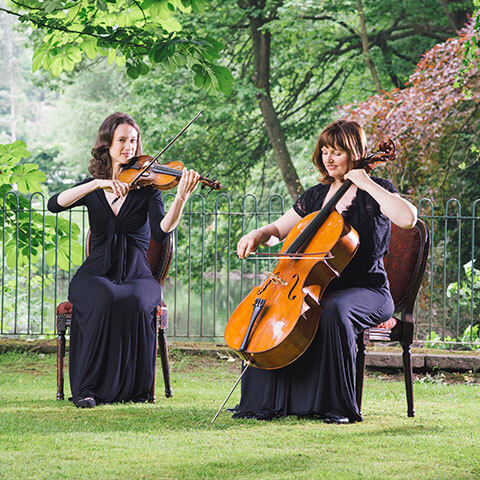 Liz & Anita are always available to help you choose a selection of music which will add a personal touch to your special day. One of the most popular times to utilise one of our ensembles is during the drinks reception that follows the ceremony. This can be added to the wedding ceremony package or you can book your chosen ensemble by the hour. This can also easily be extended to include your wedding breakfast too if you require our services all day. 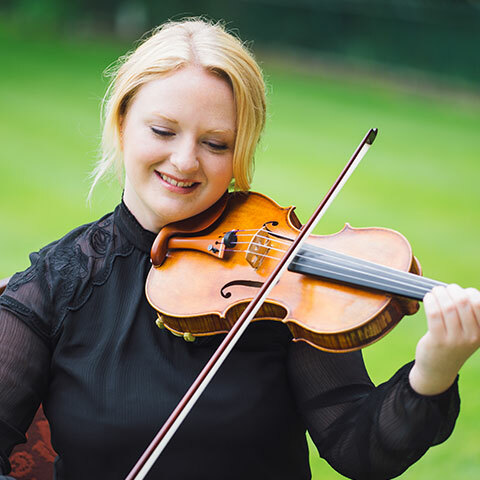 You will have the opportunity to make musical requests before your wedding day, but we also welcome your guests to make requests at the time too. If you are happy for us to choose the set list, we have the experience to read the room and the mood of your wedding party and create the best possible atmosphere for your reception through our performance.